How Do You Transfer Music from iPod classic 1G to iPod nano 7G? This tutorial is about how to Transfer Music from iPod classic 1G to iPod nano 7G. Read on to get an all new idea that can help you Transfer Music from iPod classic 1G to iPod nano 7G. I have an old iPod classic 1G with 3000+ music on it, and a new iPod nano 7G I want to sync it to. I keep seeing all these programs you need to buy, which I don't want, and only a small percent of the music was purchased from the iTunes store, so that's not helpful either. Is there any complete way to transfer music from iPod classic 1G to iPod nano 7G? It would be very helpful if you'd like to recommand me a tool to handle this. 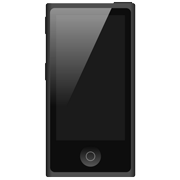 If your iPhone/iPod/iPad is regularly managed by iTunes, you are able to upload music onto iPod nano 7G easily by sync. But if you want to transfer music from iPod classic 1G to iPod nano 7G on the fly, you have to appeal to a third party application for this problem. In this iMobie Guide, we will show you how to transfer music from iPod classic 1G to iPod nano 7G with one single click. Check it out. Apple doesn't provide a simple and straightforword way to copy music from iPod classic 1G to iPod nano 7G directly. However, you can do it easy with a handy utility - AnyTrans. 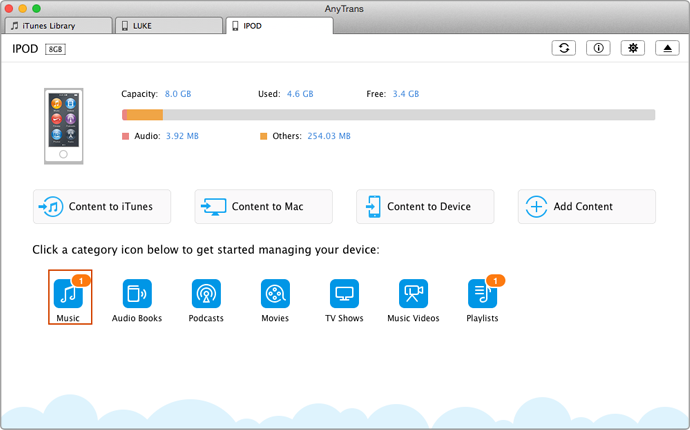 Somehow you may feel tired and sick of mazy iTunes settings, then probably you should use AnyTrans to manage iDevices because it will only transfer the wanted music in/out your devices. 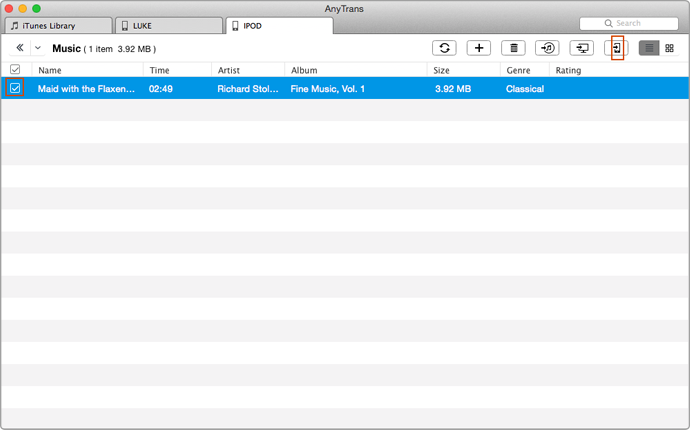 How about Transfer Music from iPod classic 1G to iPod nano 7G by Using AnyTrans? Keep target music files highlidghted and click To Device (Or you can right click the mouse and select To Device). Then AnyTrans will help you instantly move music from iPod classic 1G to iPod nano 7G.